Feature daily specials or other promotions with all clear add-a-flap pockets. Add-a-Flap menu inserts made with heavy gauge clear vinyl. 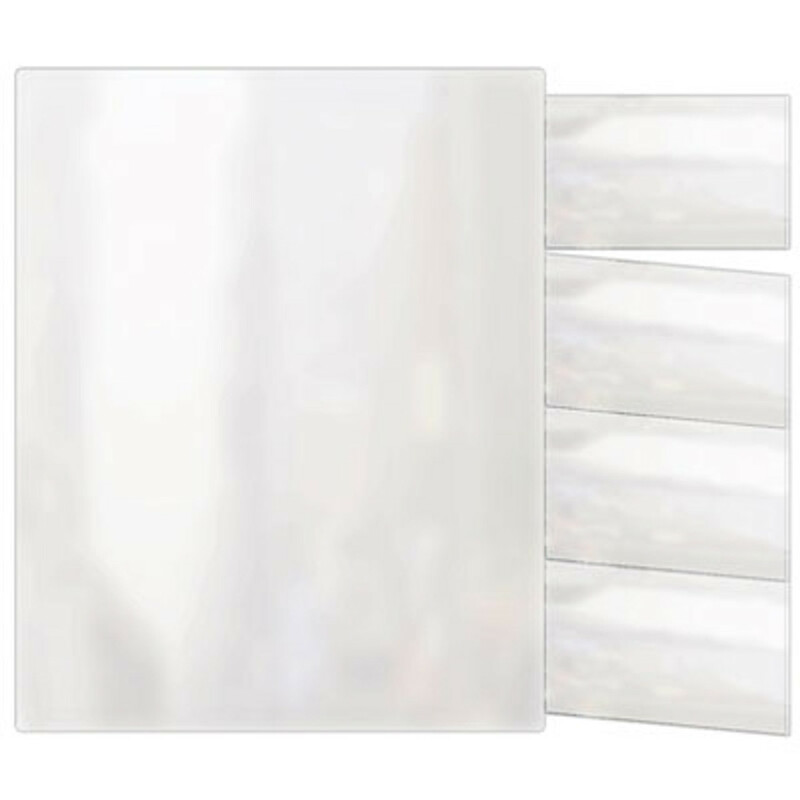 Removable pockets with an extended clear flap to slip into your existing All Clear menu cover. The extended piece fits into an 11" or 14" high cover only. Each pocket holds a 2.25" x 4" sheet. All pockets of Add-a-Flap menu inserts pages open from the center.